In 2005 a small group of Fortune 100 insurance experts and computer programmers left Wall Street. Their goal was to bring corporate-level benefits to the small and mis-sized market. They formed TotalBen, short for Total Benefits. 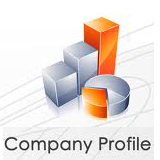 Part of the firm's strength lies in the staff's decades of corporate experience integrating benefits into payroll. Another area of expertise is how tax law impacts on various benefits and how best to leverage that to the benefit of the small employer. Contact us to find out if we can decrease your premium costs while increasing your employee benefits.